Industry executives are sceptical their positions will improve much, especially if there's no easing of a funding crunch. A tax cut by the government to help the country's troubled housing sector should boost home sales, but by itself will not be enough to put cash-short developers on more solid ground, say industry executives. 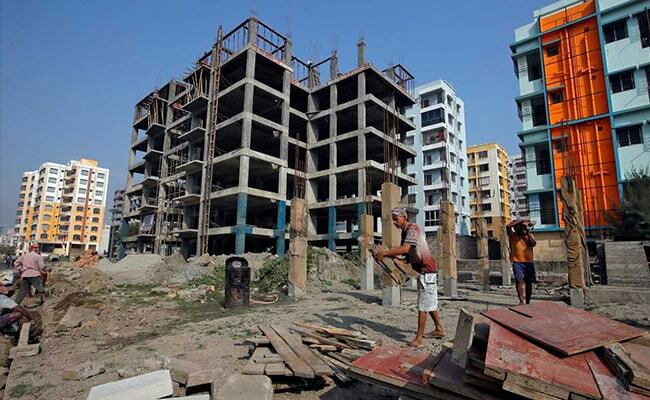 On Sunday, the GST Council said the sales-tax on under-construction residential houses in April will drop to 5 per cent from 12 per cent, while that on lower-priced projects classified as "affordable housing" will be cut to 1 per cent from 8 per cent. The measure is one of a series by Prime Minister Narendra Modi's government to try to stimulate consumption as his Bharatiya Janata Party faces nationwide elections by May. Two of PM Modi's main economic reforms - demonetisation and the roll-out of the nationwide GST - have stung the real estate sector, a major contributor to economic growth and a large employer. "A lot of fence sitters will jump in and take the benefit and the affordable housing inventory would likely fly off the shelf over the next 12 months," he added. But there is currently an average of roughly two years' worth of unsold inventory in the country, of which affordable housing accounts for about 50-60 per cent, he said. "The fuller benefit of GST tax cuts will accrue on the ground only when an interested home buyer has decent low cost financing options from HFCs," Mr Jaiswal added.